HOTEL THE FLAG opened less than a month ago and our staff are excited to be meeting our guests from all over the world! And, of course, excited to welcome our many visitors from Islamic countries. Many people come to Osaka to taste Japanese and Osakan food: sushi, ramen, konamon, etc. Visitors from Islamic countries are able to enjoy sushi and konamon without any problems as they mostly consist of fish and vegetables. 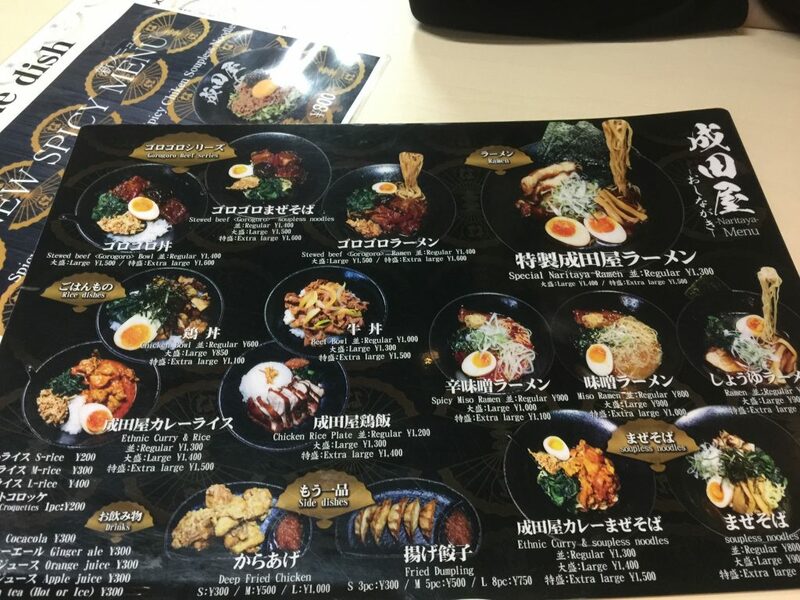 But until recently, it was difficult to enjoy other Japanese foods such as ramen, yakiniku and sukiyaki (which are mostly meat) as these dishes are not halal. What a pity! 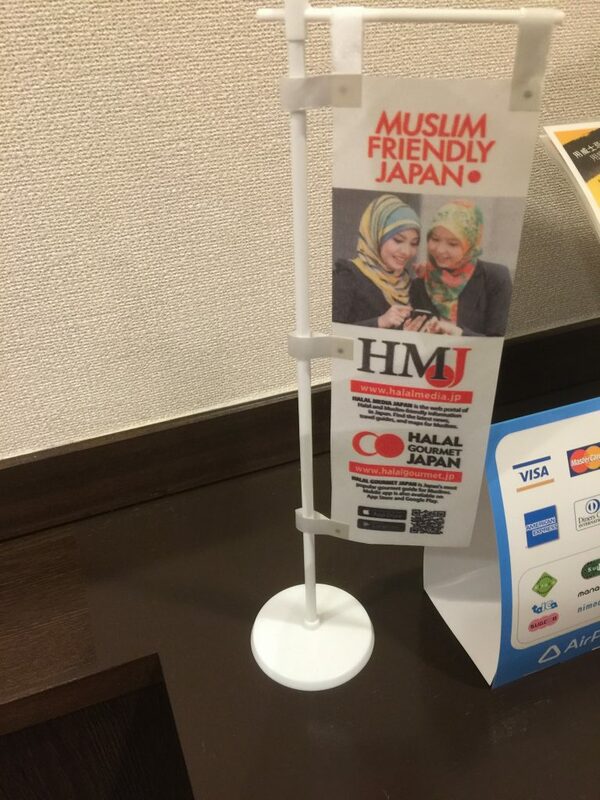 The good news is, in the past 2-3 years, Muslim friendly Japanese restaurants have increased! 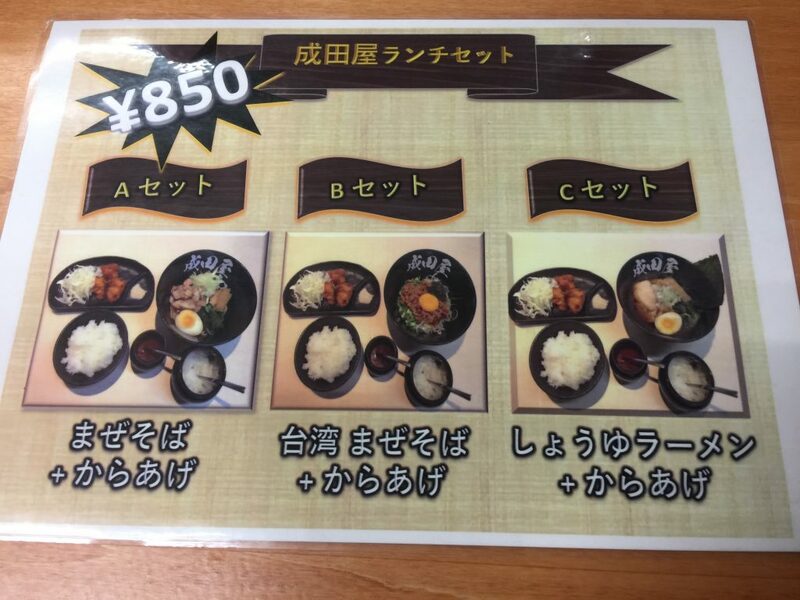 Now you can eat ramen and sukiyaki even if you are Muslim here in Osaka! We at HOTEL THE FLAG took the time to check out some of the local restaurants and are very excited to present them to you. Here we go! Ramen is a popular dish in Japan. Cheap and tasty, Japanese people like to stop at ramen restaurants with friends or even alone to refuel! 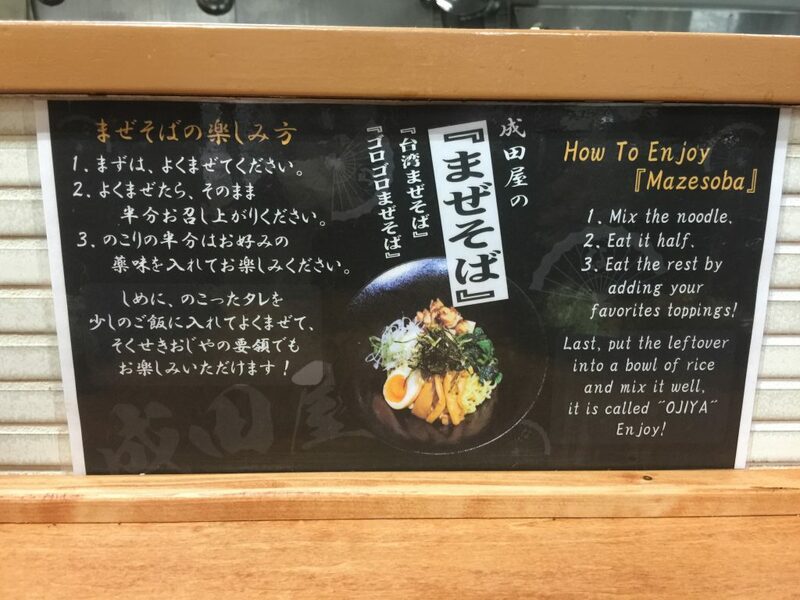 This famous Japanese dish consists of Chinese-style wheat noodles served in a meat, chicken, or fish-based broth, usually flavored with soy sauce or miso, and including toppings such as sliced pork, dried seaweed, bamboo shoots, and green onions. Pork! What a pity. This of course means that Muslims cannot enjoy this meal. 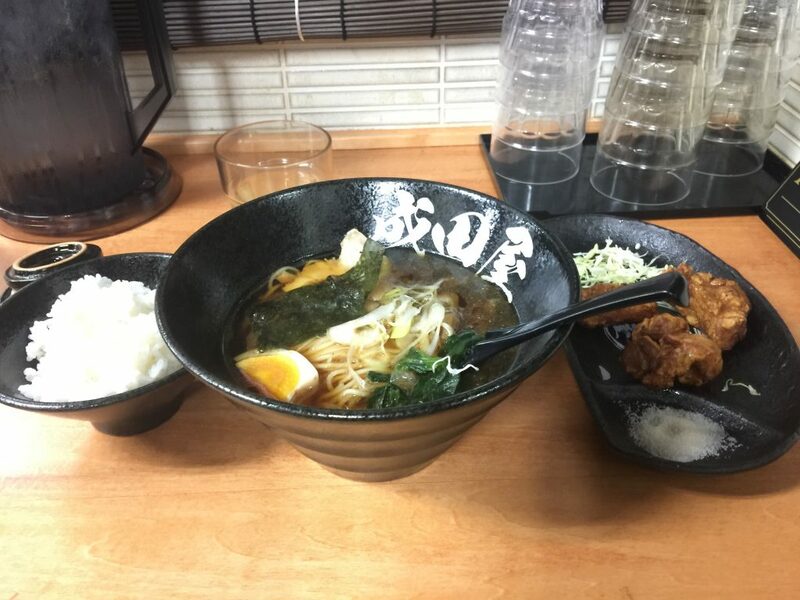 But now there are several places in Osaka where we can enjoy halal ramen! Instead of the standard pork, you can enjoy your ramen with halal chicken. 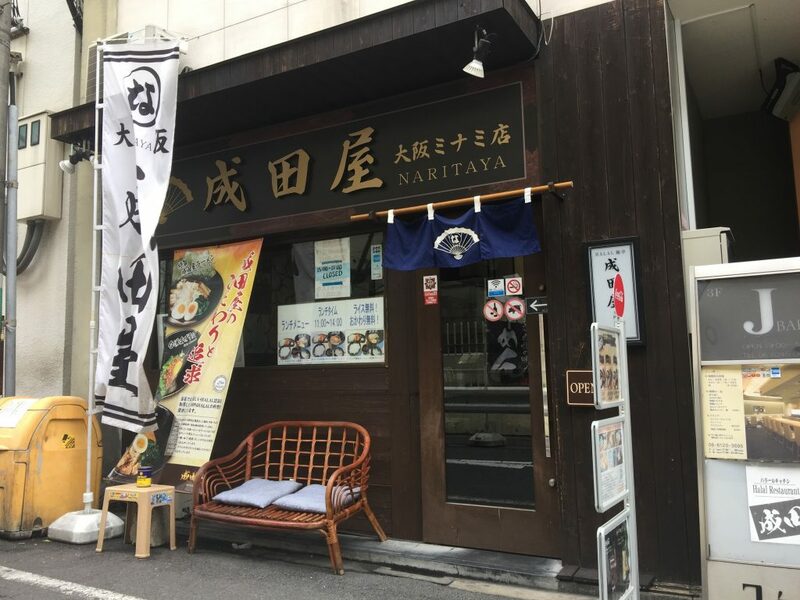 5 minutes walking distance from HOTEL THE FLAG, you can find Naritaya. A welcoming entrance for Muslims and others. 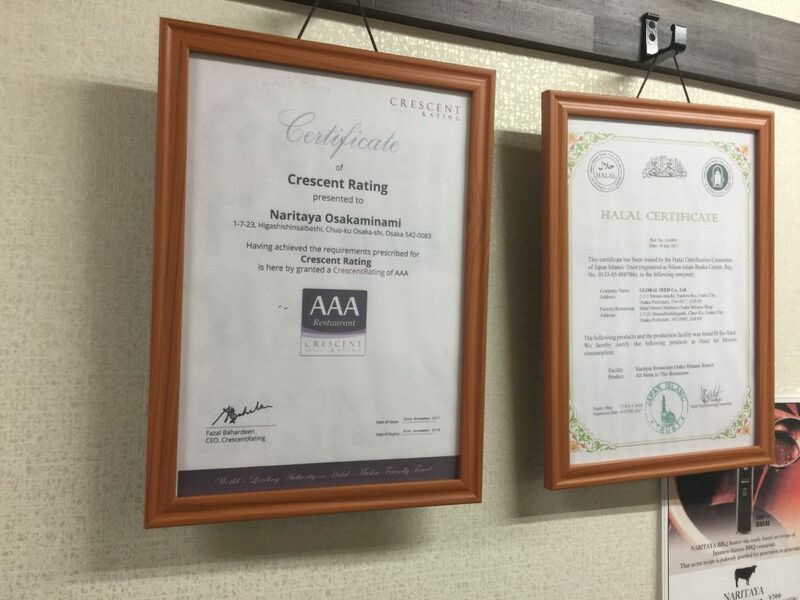 Certificates which show Naritaya is a halal restaurant. 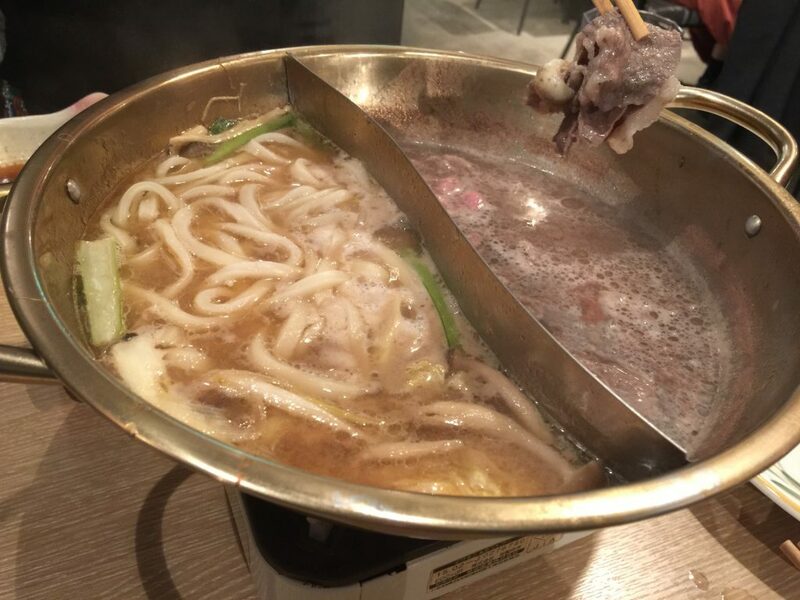 Sukiyaki and shabu-shabu are Japanese hotpot dishes (nabemono). Like ramen, they are a popular Japanese cuisine, although they are often more expensive. But we think it’s worth the price! We recommend giving them a try! Sukiyaki consists of meat (usually thinly sliced beef) which is slowly cooked or simmered at the table, alongside vegetables and other ingredients, in a mixture of soy sauce, sugar, and mirin (this time, halal mirin) in a shallow iron pot. Sukiyaki is a popular winter dish and is commonly found at bōnenkai (Japanese year-end parties). 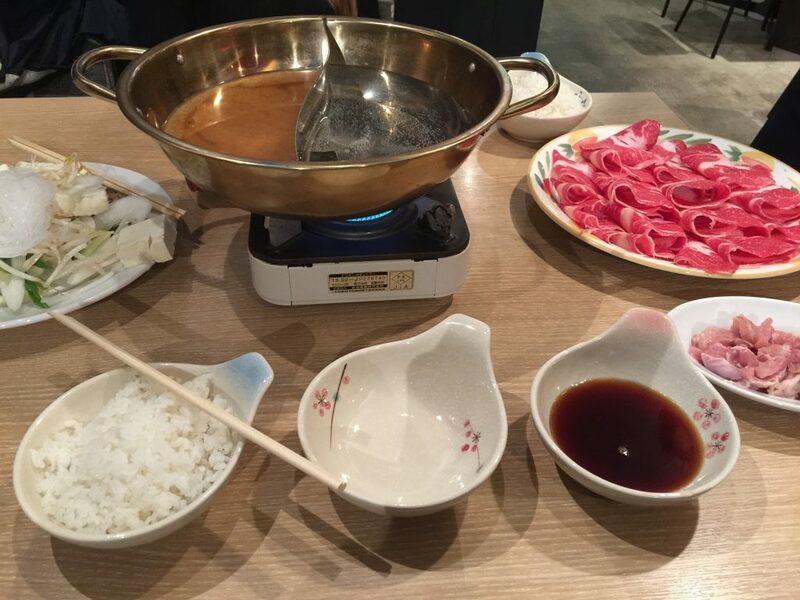 Shabu-shabu also consists of thinly sliced meat and vegetables boiled in water. Shabu-shabu is less sweet than sukiyaki. You can try both at Bulls, in OCAT Namba, less than a 20 minute subway ride from HOTEL THE FLAG. 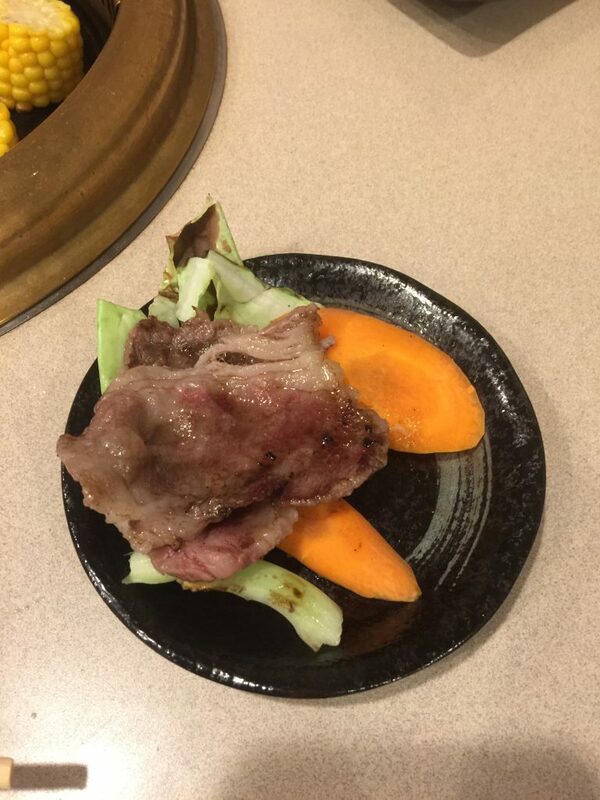 Yakiniku means literally “grilled meat”. 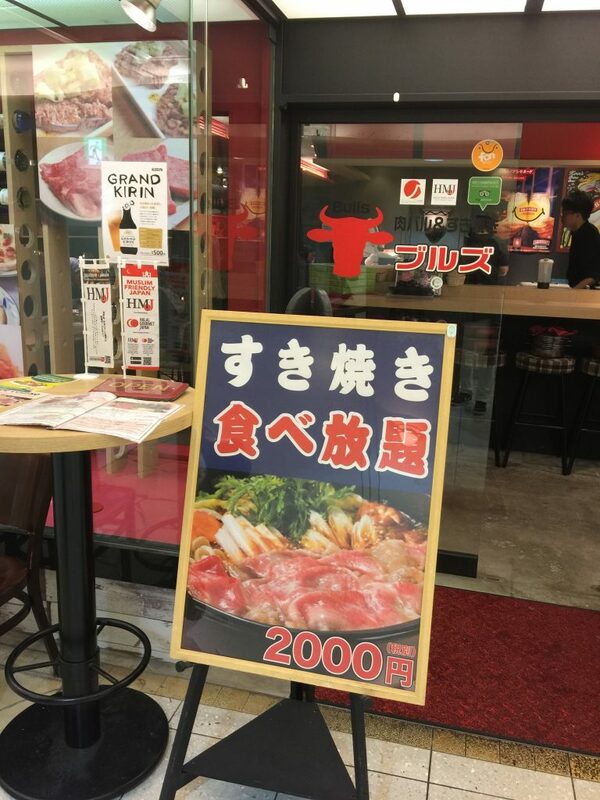 Japanese people like yakiniku, specifically on special occasions. 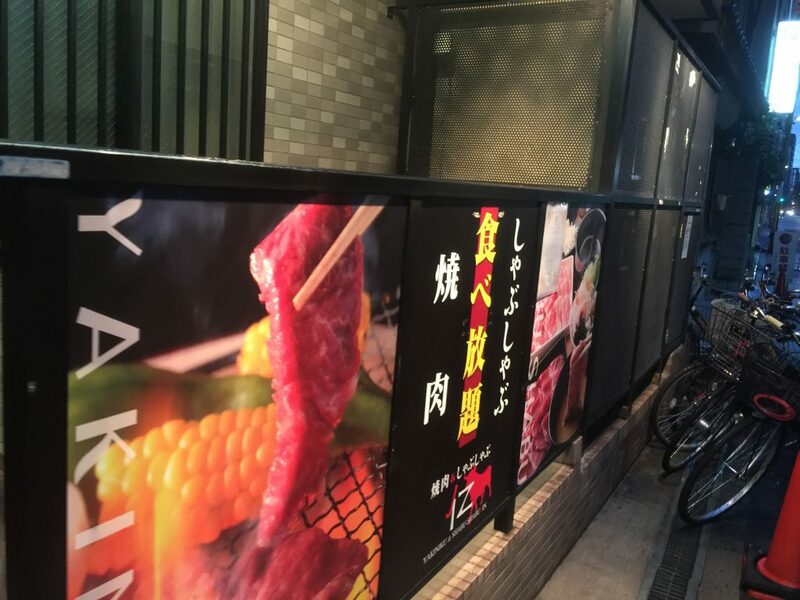 You can find halal yakiniku in Osaka at Jin, a restaurant less than a 20 minute walk from our beloved hotel. 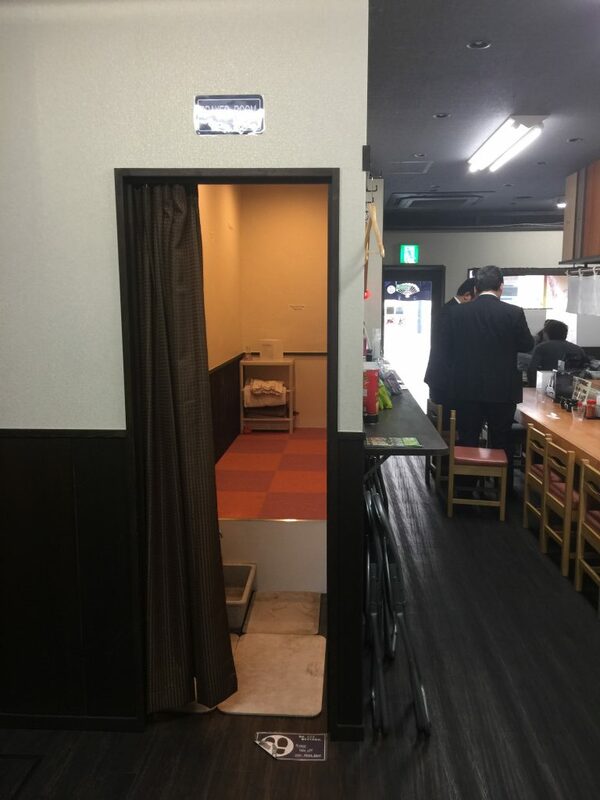 Of course, there are even more halal restaurants than this in Osaka! Ask our staff at the front desk and will be happy to recommend you many other places at any time! 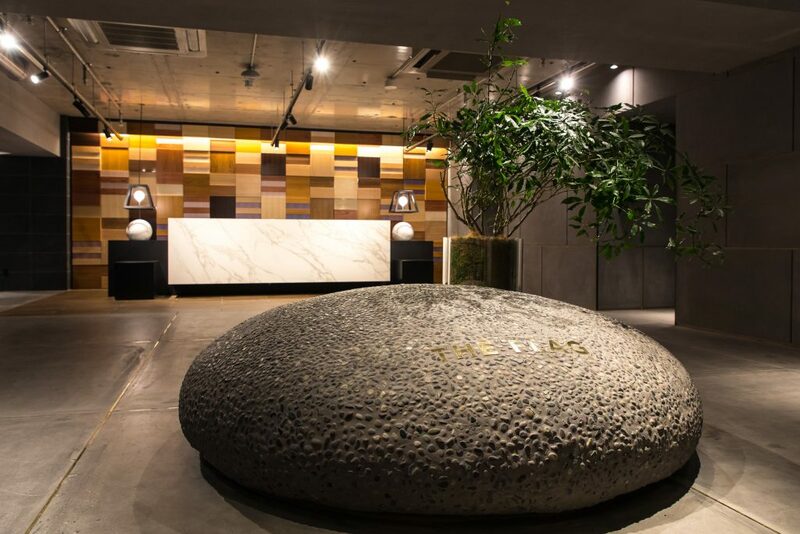 HOTEL THE FLAG, located in the middle of bustling Shinsaibashi, is excited to meet you. 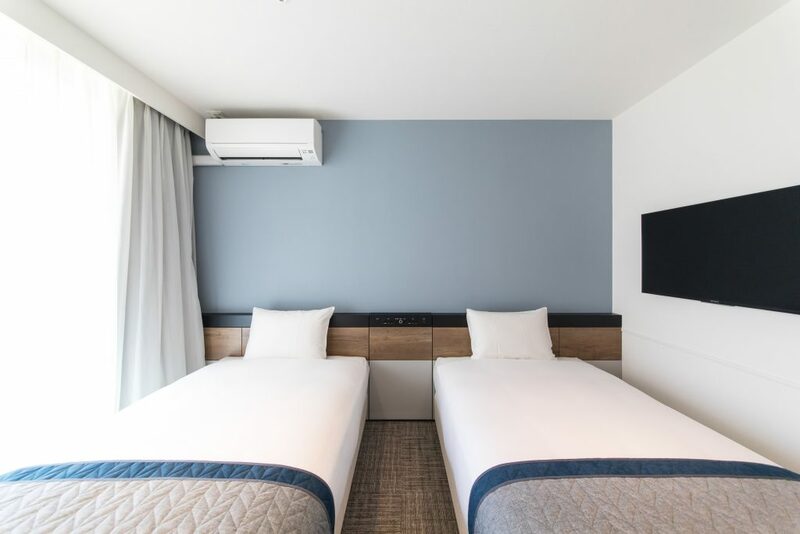 Enjoy the many delicious foods surrounding us and then come back to relax in our comfy guest rooms and shared lounge space. Here at HOTEL THE FLAG we have paid close attention to all the details so that our guests can enjoy every bit of their travels. 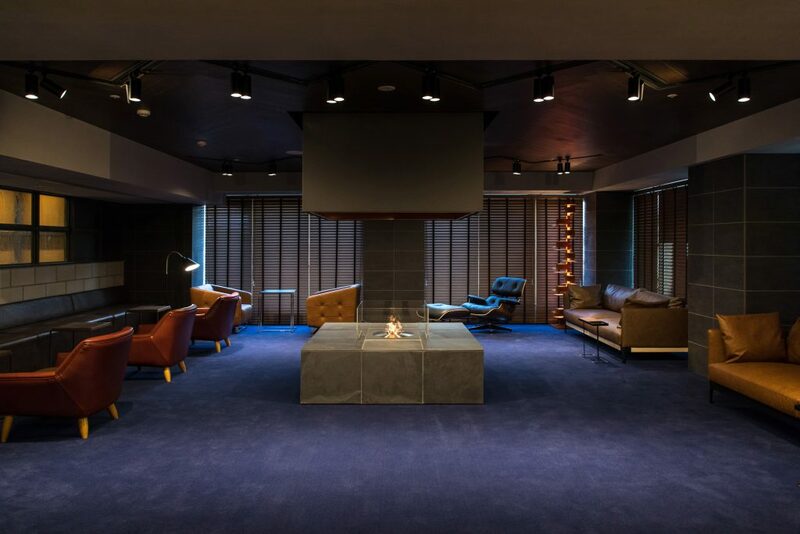 We have a warm fireplace set up next to our front recepetion with comfortable sofas to sink into and relax in. We have many rooms to fit all of our customers needs throughout their travels. Enjoy a good night’s sleep in our queen-size beds and wake up for our delicious buffet style breakfast. The bathrooms include rain showers, and in the Deluxe rooms we have relaxing bathtubs. 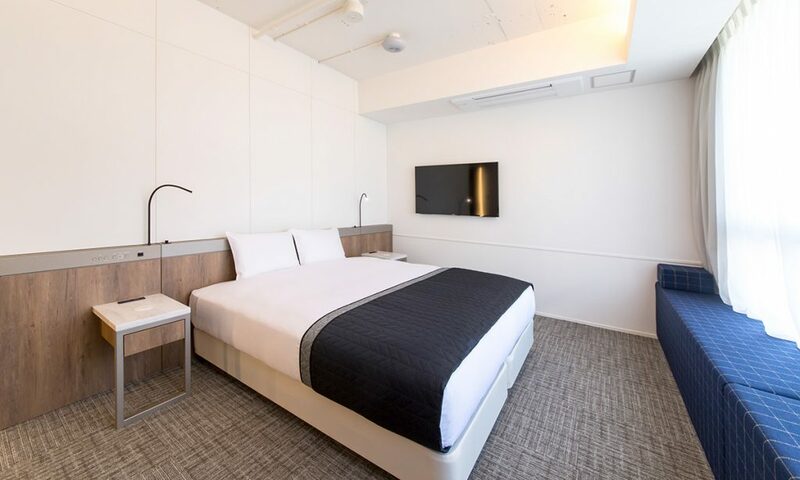 The Standard Twin Room comes with 110cm-wide beds to get a good night’s sleep in. The bathrooms include a luxurious rain shower. ※Bathtubs are only included in Deluxe rooms. 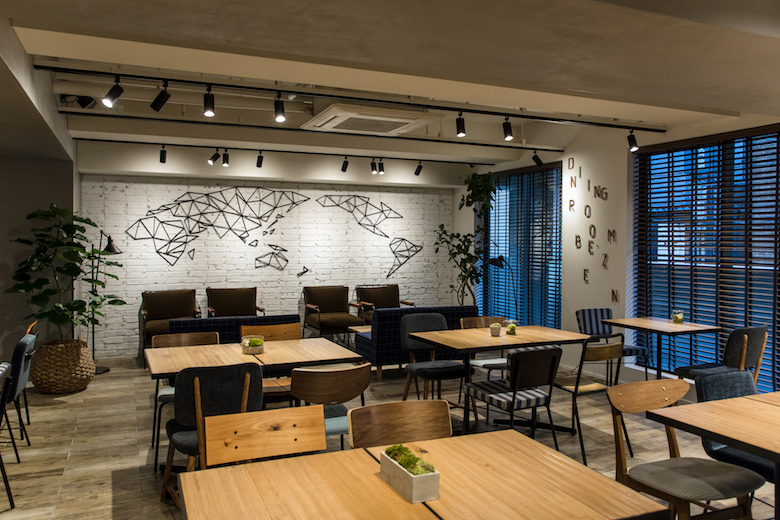 HOTEL THE FLAG’s location is perfect for enjoying your stay in Osaka! 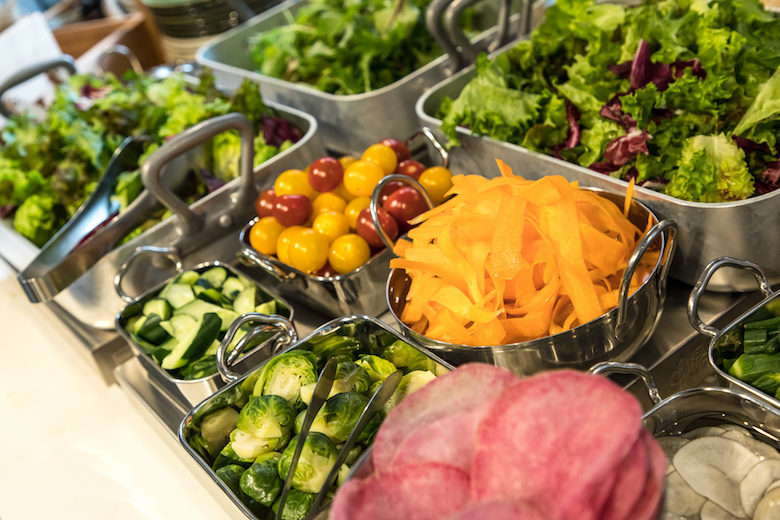 We have a delicious buffet style breakfast to fill our guests with energy for their day of adventure in the city! 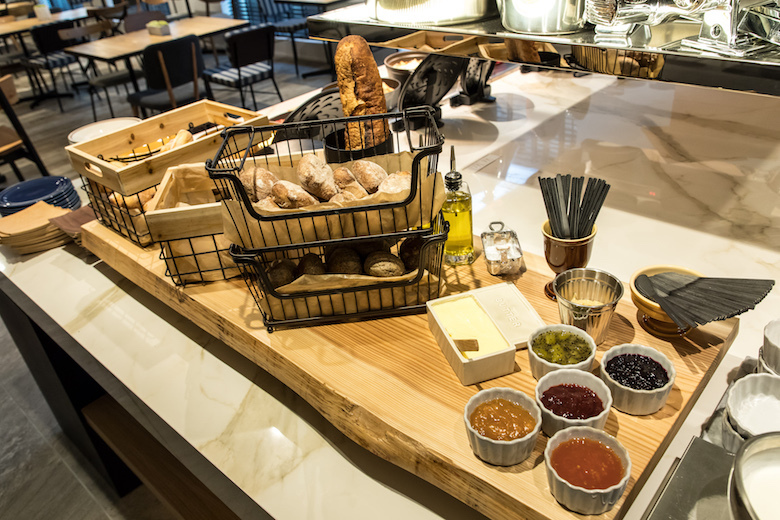 Our skilled chefs choose the best ingredients to create our breakfast which can be enjoyed with all five senses. 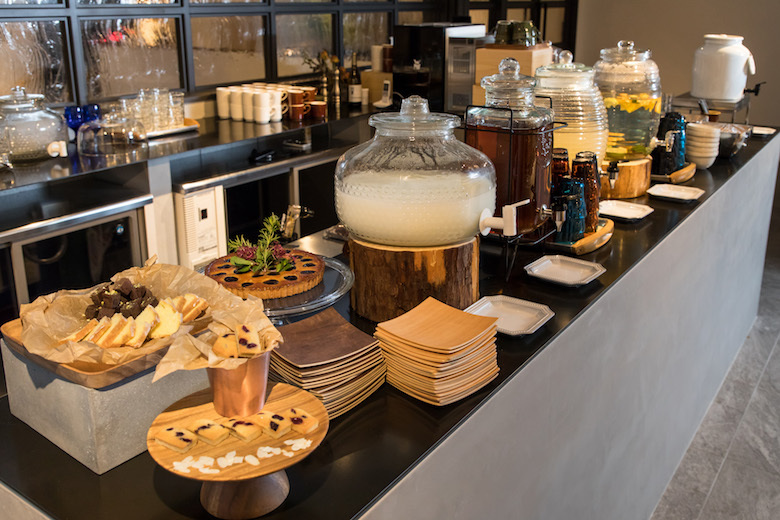 The delicious dishes are laid out on the buffet table waiting for guests to come and enjoy their beautiful tastes on our stylish tableware. A wonderful start to a wonderful trip! Thank you for reading until the end! We are happily awaiting you at HOTEL THE FLAG Shinsaibashi. Reservations made through our official reservations page come with a guaranteed best rate. Take a trip to Osaka, Japan and experience our food, culture, history, sights, inovations, and all the rest.